Paris (AFP) – Emmanuel Macron, the 39-year-old former investment banker who was catapulted to the French presidency in May, faces widespread disillusionment as he prepares to mark his first 100 days in office. The man shown walking on water on the cover of The Economist magazine after his startling rise has seen his approval ratings nosedive, with only 36 percent of respondents giving him the thumbs up in one recent poll. The French are “falling out of love” with Macron, the right-leaning daily Le Figaro headlined Sunday. No French president has seen such a steep drop in popularity so early in his rule since Jacques Chirac in 1995. Macron, who shot to power on May 7 promising to overcome France’s entrenched right-left divide, has since come under fire for his labour reform programme, budget and public spending cuts as well as a plan to create an official First Lady position for his 64-year-old wife Brigitte. France’s youngest ever president is especially out of favour with civil servants after vowing to put a brake on their salary increases. Macron “must come down to earth and assume the political cost of his decisions,” leading pollster Jerome Fourquet told AFP. Proposed defence cuts — part of a plan to trim 4.5 billion euros ($5.3 billion) to bring France’s budget deficit within EU limits — led to a public row last month with the head of the French armed forces, General Pierre de Villiers. Macron rebuked him for questioning the wisdom of cuts at a time the army was in action in the Middle East and west Africa as well as at home. De Villiers resigned a few days later. “The honeymoon is over between Emmanuel Macron and the French,” wrote editorialist Laurent Bodin in the wake of the spat. 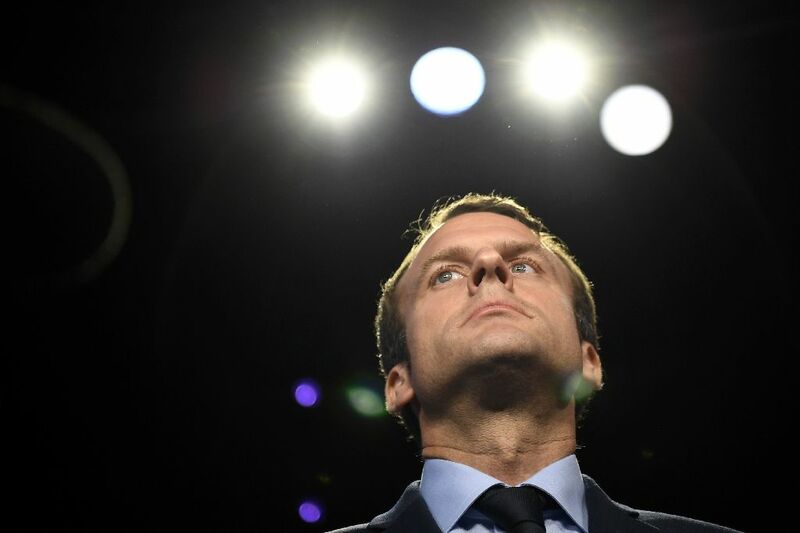 The stars aligned for Macron to sweep to power on a promise of change less than a year after he quit the deeply unpopular Socialist government of Francois Hollande, dogged by a sluggish economy and stubborn unemployment. On the right, a fake jobs scandal torpedoed the presidential hopes of early conservative front-runner Francois Fillon, leaving the centrist Macron to square off against far-right leader Marine Le Pen. His victory over the populist Le Pen was deceptive, as it came with a record low turnout and followed a first round in which only one in four voters picked Macron. In June, Macron’s Republic on the Move party and its centrist ally MoDem won a comfortable majority in parliament — but after garnering less than half the vote, also on a historically low turnout. Macron has fared better on the diplomacy front, proving himself a match for US President Donald Trump in the handshake department and holding his own with Russia’s Vladimir Putin. And amid anguish over Brexit, Macron’s committed pro-EU stance has roused hopes of a revival of the Franco-German axis that forged European integration and created the world’s biggest trade bloc. Macron has fulfilled a key campaign promise, winning passage of legislation to clean up politics following a series of scandals, and tough new anti-terror measures are in the pipeline. But prominent right-wing politician Eric Woerth scoffed that “nothing difficult has been done yet”. Government spokesman Christophe Castaner has sought to deflect criticism of his boss ahead of Tuesday, which will mark 100 days since the election. The president has “laid the foundation of a deep transformation of our country,” Castaner said in a Facebook post on Sunday. The young president will come back from summer holidays to face protests against his labour reforms, with unions calling for strikes and marches while the radical left France Unbowed party plans a “people’s rally”. Parliament this month adopted a bill allowing the government to fast-track changes to the labour code to give employers more power to negotiate directly with their employees. One bright spot for Macron is the overwhelming popularity enjoyed by his wife Brigitte, who has taken to her role with aplomb, shrugging off chatter about the 25-year age gap with her husband. Always poised and smiling, often sporting above-the-knee Louis Vuitton dresses, the svelte blonde who was once Macron’s drama coach will “play a very active role alongside her husband, who will benefit from her incredible popularity,” wrote the Paris daily Le Parisien. Women have been lining up outside stores of Swedish clothing giant H&M in the French capital to buy T-shirts emblazoned with her name, it reported.